It begins with "Love." Love for someone special in your life. At least, that is how it starts for me. I can't explain it other than to say that my way of expressing my love for someone begins by wanting to create something especially for that person that I hope will bring them joy. Something that hopefully will be a daily reminder that I love them and value them in my life. This is why I love to sew, quilt, and paint. From the time I was a small child, I felt enormously rewarded when I gave a picture I had colored, or a drawing I had created, to my mother, father, brothers, or friends, and they would respond with smiles and excitement, joy and pride. We had a neighbor in Silver Spring, Maryland, Mrs. Johnson, who loved my artwork. Every time I took her a drawing or watercolor painting, she would give me a Mary Jane candy and a hug and always told me she was going to hang my painting in a special place. It was many years later, when I visited her, that she took me into her basement family room and showed me where she had hung all my work. Her walls were covered in my artwork, and that of her granddaughter's as well. She had displayed them side-by-side on her walls, and had even had a number of them framed. I was amazed that she had not only kept them all those years, but displayed them proudly in her home. Creating something for someone I love has been in my DNA since I can remember. It was the fastest way I knew to get attention, for one thing, but oddly, I've come to recognize that it made me happier, I think, than the recipient! There truly is more joy in "giving" than "receiving!" Regardless of my intentions as a child for making things for my family and friends and neighbors, the creative process was what brought me so much happiness. It still does. That brings me to my first quilt project of the year - Connecting Threads "Tulips & Roses" quilt, designed by Darlene Jewell-Walhood. I wanted to make a quilt for a very dear friend, Wendy Shullenbarger. We attended Sherwood High School together and both graduated in 1977. She went on to college and became a pastor, spreading the gospel and doing for others. I went on to have babies, then college, opened a couple nail salons, then focused on what I loved to do most of all - painting in oils and pastels and sewing and quilting. Needless to say, the friendship I have forged with Wendy over the years means the world to me, and this quilt is my way of expressing to her how much I love her and value her in my life. 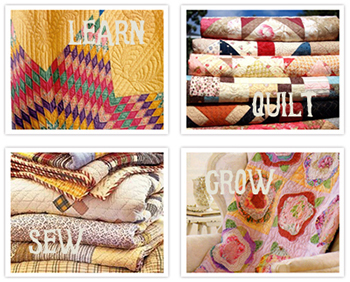 To start this project, I had Wendy go to several websites that I love for finding quilt kits. Quilt kits are great. You receive the instructions, and all the fabric you need to make the quilt top. She chose this quilt as one of her favorites from Connecting Threads, and I was excited to get started. 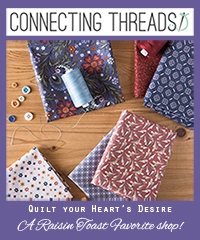 When you order a quilt kit, you should also order backing fabric (preferably of one of the fabrics that is in the quilt top design), and thread, and any other essentials you will need to complete the project. In this case, and for this quilt, knowing that it involved a lot of applique work, I ordered some "Heat & Bond" lite. I prefer this product over Pellon. place the Heat & Bond paper with your sketches on the "back" (wrong side) of your fabric, and press into place. After it cools down, cut out your applique designs and set aside. It's that easy. Applique does not have to be difficult. My suggestion is to write the number of the applique on the backside of the applique, and sort them accordingly, as shown. And, if you are like me, you will have one big mess at the foot of your chair from cutting out all those appliques! After cleaning off my work table, I set out the design on the large square piece of fabric that the appliques will be attached to. The appliques still have the paper backing on them. This is laid out just to see how it all goes together before I peel off the paper and press the applique pieces into place. And this is where I am going to end this post. The most important thing to remember is to have fun. Take your time and enjoy the creative process. I think this quilt will be beautiful ... just like my friend and sister at heart - Wendy.